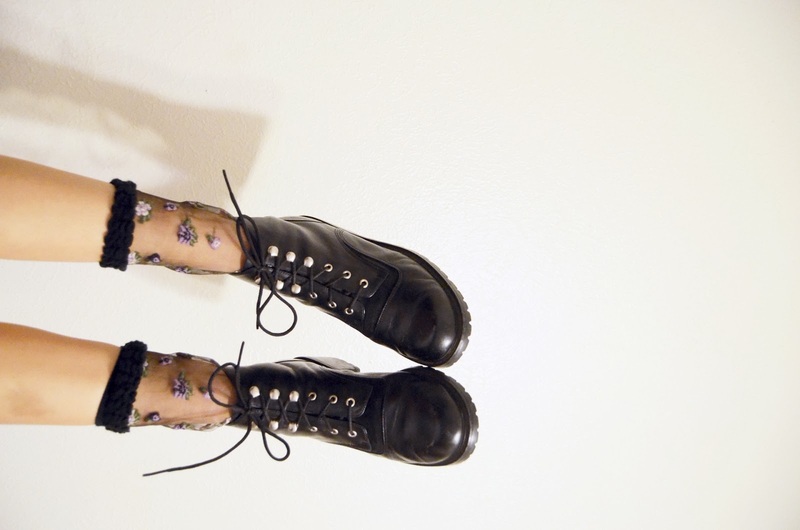 Stephanie from "The Fashion Citizen" has posted several pictures on her Tumblr wearing these lovely, sheer floral socks. She posted these awhile ago (probably months ago) but for some reason I randomly remembered them earlier this evening. Thus commenced my search for similar socks. I love how delicate they look from the flowers and since they're sheer, they'd be perfect for spring and even summer time. I definitely need to get my hands on some 'cause I'm already imagining how cute they'd be paired with my JuJu Jelly Sandals. I did a lot of online searching and found some from Topshop and Urban Outfitters. I'll have to take a visit to those places soon so I'll have a few pairs in time for the spring!